Announcing several new designs of decorative throw pillows from Spiritcraft Design. 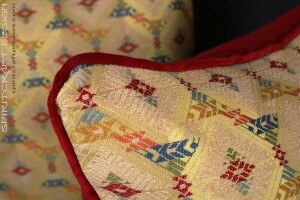 We have added new self corded designs in some very exciting luxury fabrics. 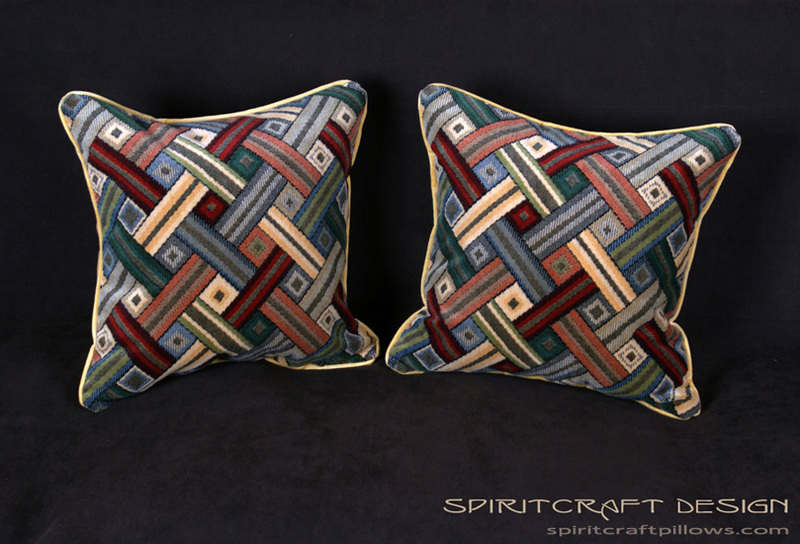 Any of our decorative accent pillows can be customized in terms of trim of course, but we felt that adding a few examples with self cord was fitting. 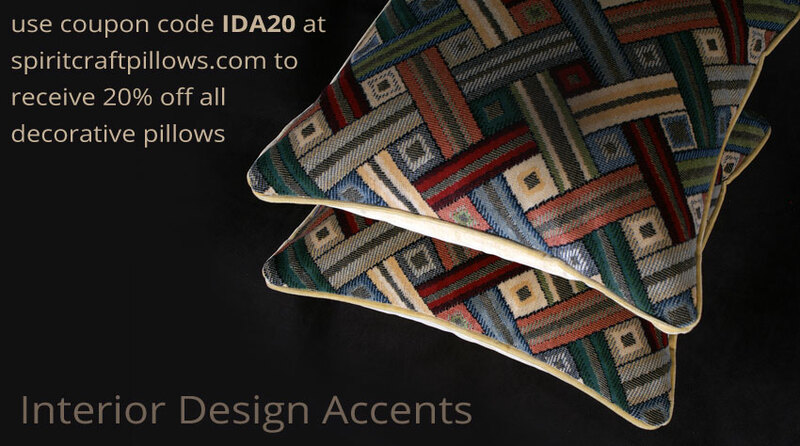 These new accent pillow designs are transitional but can enhance any decor from the clean and contemporary to the more traditional home decor. 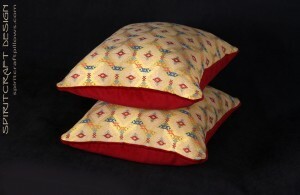 Lee Jofa decorative throw pillows in an Italian southwestern inspired brocade fabric. 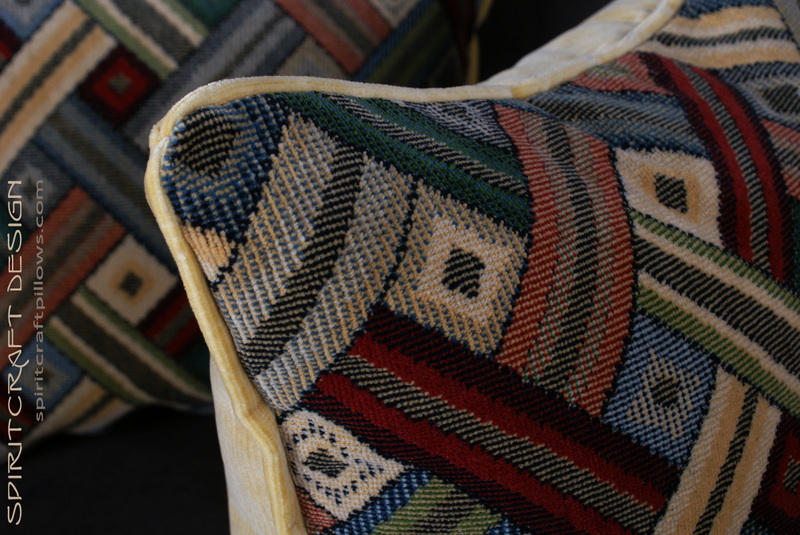 The Lee Jofa Zanzibar Stripe offers centerpiece quality visual appeal and the intricate fabric makes for exceptional accent pillows. 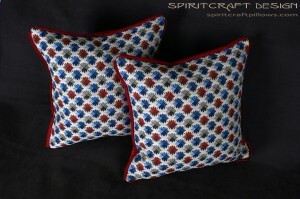 These are 18" x 18" but can be custom made in any size, design and trim option imaginable. 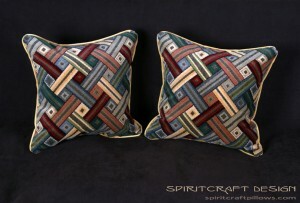 German Mohair Patchwork Velvet Designer Accent Pillows. These decorative pillows are crafted from a rare and very wonderful German made velvet by Lee Jofa. These exceptional accent pillows are plus, soft and appealing to the eye and to the touch. They measure 18" x 18" but can be custom made to your wishes. 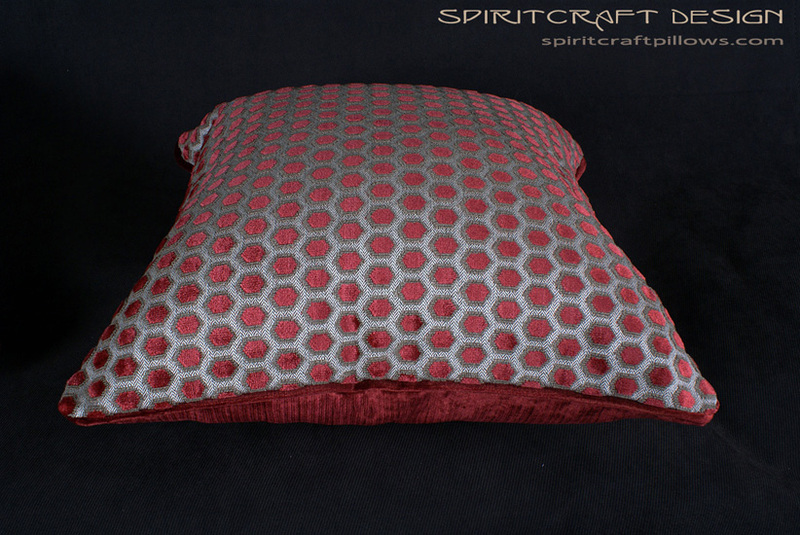 Decadent Velvet Epingle Designer Accent Pillows. This set of decorative accent pillows feature the heralded and sought after Brunschwig and Fils Oatlands velvet epingle from France. 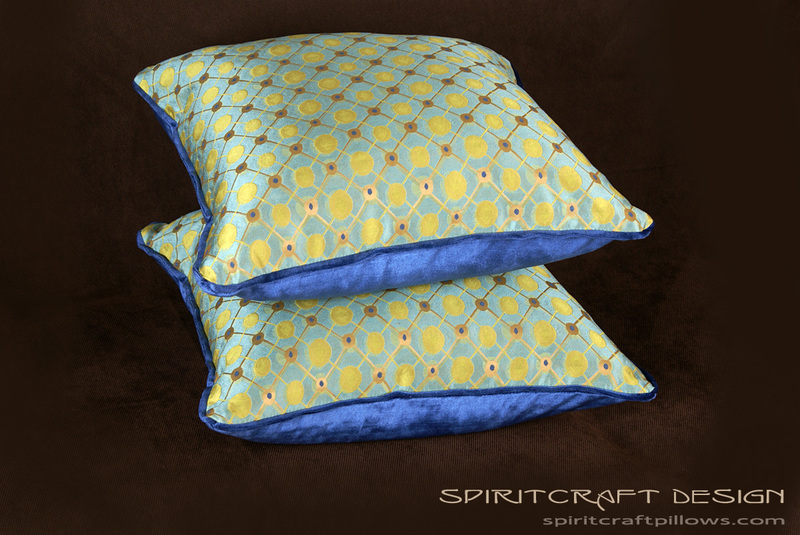 These exceptional accent pillows are backed with Scalamandre velvet are 18" square and are available in a multitude of sizes and trim options. 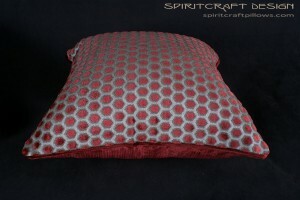 Stunning Designer Accent Pillows for any Home Decor. 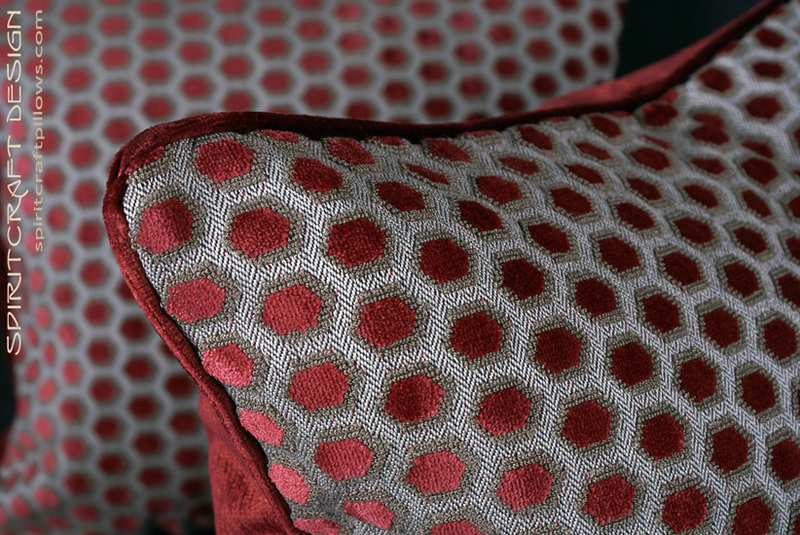 These exciting decorative pillows are crafted from a exquisite Italian cut velvet with an intricate woven base. 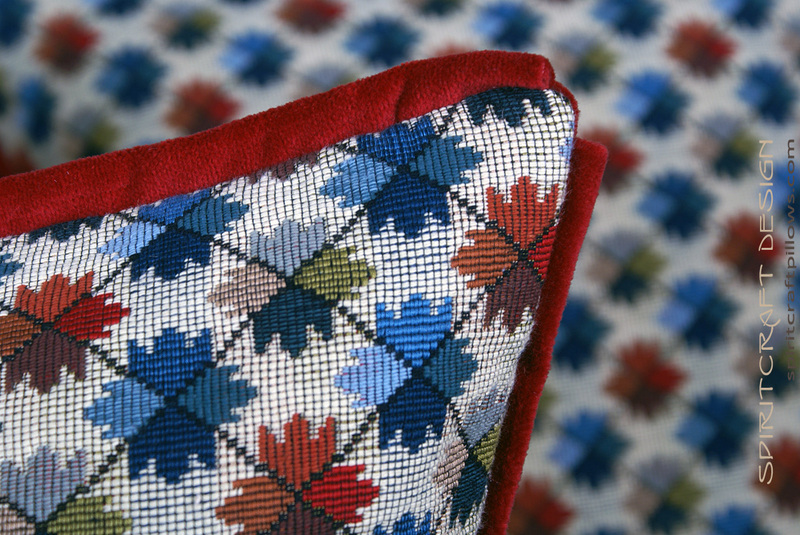 The design and quality are superb and the Milton Weave by Baker – Lee Jofa is exceptional. These are 18" x 18" as pictured but can be custom made to order. Can you imagine this fabric on a small bench, stool or chair? 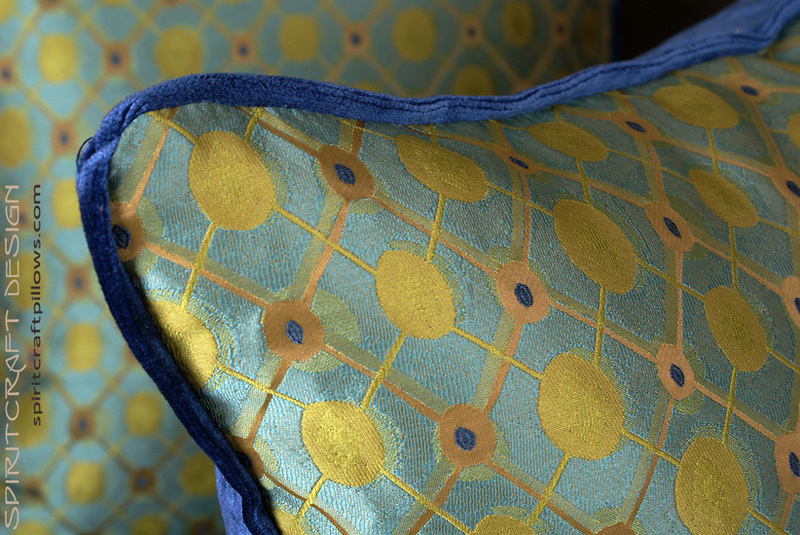 Contemporary Silk Designer Accent Pillows. 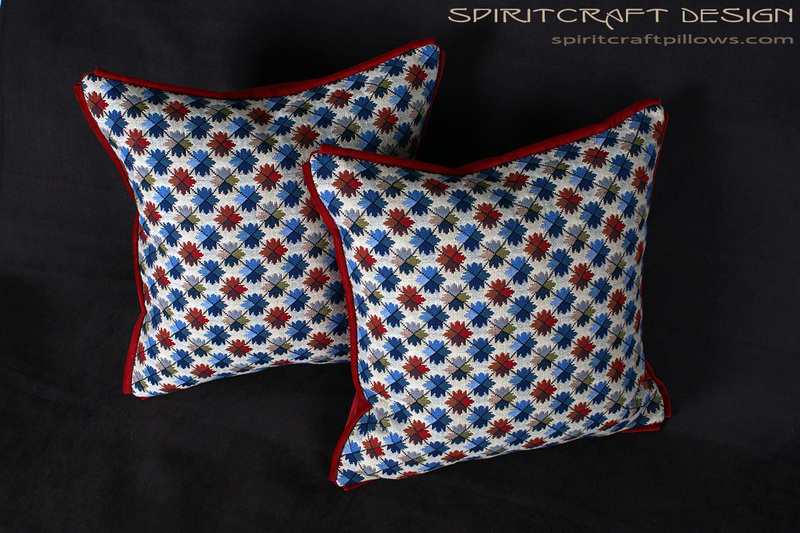 These striking decorative pillows are stunning interior design accents. 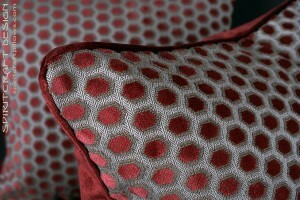 The Italian silk brocade fabric from Old World Weavers is back by another Italian treasure, Donghia plush velvet. These modern "contempo" silk accent pillows are self corded but can be customized in any size and or trim.